Angry locals in villages around the southwestern town of Susangerd and Dashte Azadegan in Khuzestan province clashed with forces of the Islamic Revolutionary Guards Corps in the early hours of the morning today. According to reports, the IRGC had taken down the flood barriers that locals had made to prevent flood water from entering their farmlands. The Guards wanted to direct water away from IRGC controlled oil wells in Dashte Azadegan. The locals’ resistance led to armed clashes with the IRGC. 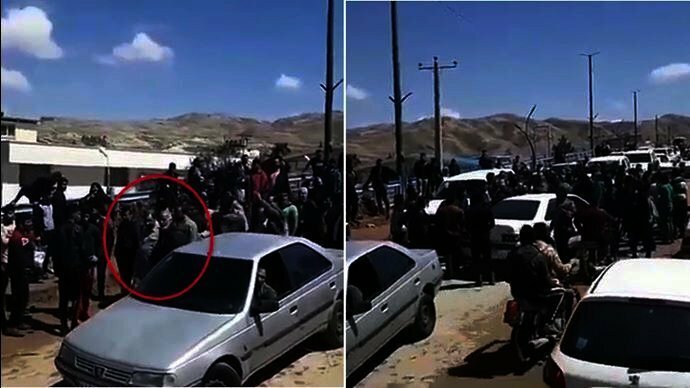 More scenes of IRGC units opening fire on locals, reports indicate. IRGC sought to open flood dams & direct waters into people's farms. Reports indicate that many people were wounded in the clashes. A man identified as Aboud Rabiei who seemed to have been shot in the neck passed away. A number of IRGC forces were also wounded. IRGC units opened fire on locals, reports indicate, killing 1 – Mr. Abud Rabie – and wounding 5 civilians. Public anger is mounting in Iran after 16 days of severe flooding in almost all of Iran’s provinces. The flood stricken people who have lost everything to the floods blame the regime for the scope of the damage and its incompetence in providing relief. A video published today on social media shows locals cursing a senior military IRGC officer who currently holds office as the secretary of the Expediency Discernment Council visiting flood stricken areas in the western town of Poldokhar, hit very hard by the floods. Mohsen Rezaie visiting flood stricken areas. “What are you looking for here?” a man shouts at Mohsen Rezaie in the Luri dialect of the region. “Get lost animal! Get lost you crooks! Take a selfie and put it on your mother’s grave, you dishonorable person!” the man angrily shouts. 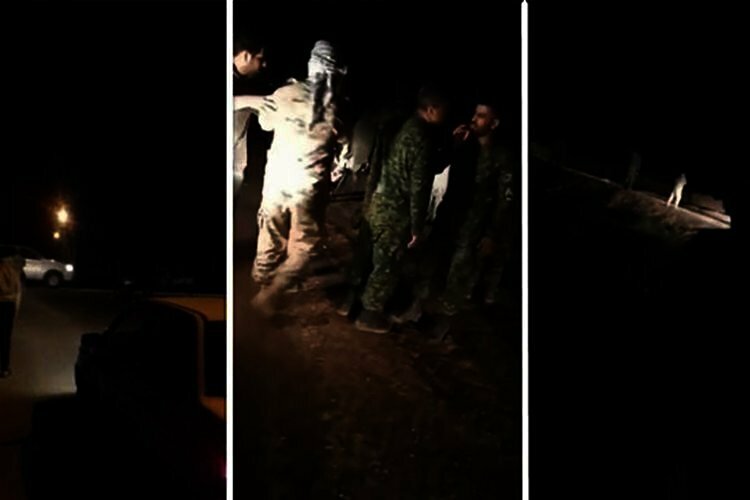 Another shocking video published on social media and also the IRGC affiliated Tasnim News Agency yesterday shows Mohammad Pakpour, the head of the Revolutionary Guard Corps’ ground forces reporting to his superiors on the scope of the flood devastation. Pakpour says that locals were so angry, that no official dared go near the flood sites. “They said for two or three days that the flood was coming, evacuate, without providing any (aid) without, for example, giving them a tent. And when they do evacuate where should they go? It’s too cold in the mountains. Now water has engulfed everything, there is no road, only an open gas road… Many villages, most of the villages have no roads, there’s nothing, some food has been taken there with helicopters… Power has been cut off because all the cables have fallen,” he told the Chief of Staff of the Armed Forces, IRGC Brigadier General Bagheri over the phone. “There are too many problems, there is no management. No government official dares to go there, it is terrible. God is witness that (the public) is very angry… I have just been able to get out of their way. They are very upset. They are very angry. Well, they have a very terrible situation,” he added. Another Revolutionary Guards affiliated news agency, Fars, published a video of flood stricken locals in Khuzestan complaining about poor facilities provided by the government. All of this comes while Iran’s police force once again reiterated that keeping order and security in flood stricken areas was the police’s most important priority. This is the second time that the police made this announcement seemingly in an effort to intimidate the public to prevent protests.